Flushing: Remember a few months ago when the Times ran a huge piece on the culinary delights of the Flushing Mall food court? Here's an interesting juxtaposition. 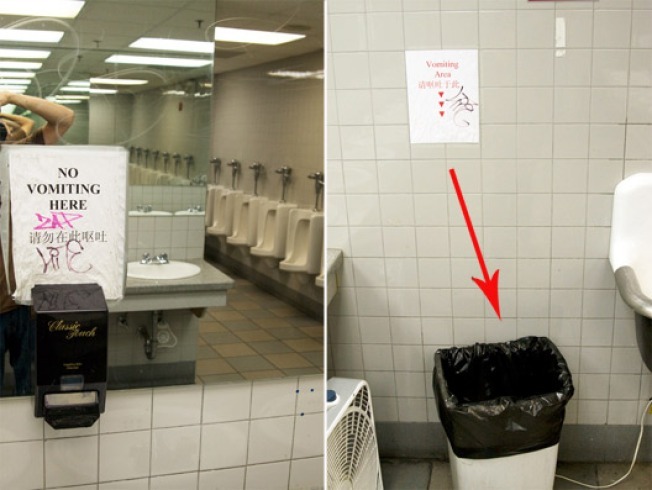 Take a gander at the above photo, original provided by Pabo76/Flickr, of the bathroom right near said food court. Our only question is why the trash can, and not the toilet, is chosen as the designated "area."